Blog Point of View and Coronado--David and Traci's Big Day! 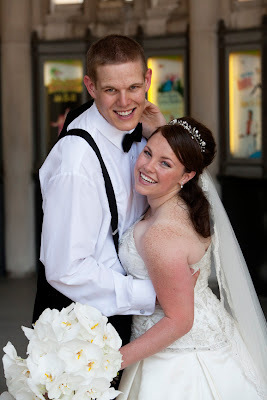 Point of View and Coronado–David and Traci’s Big Day! 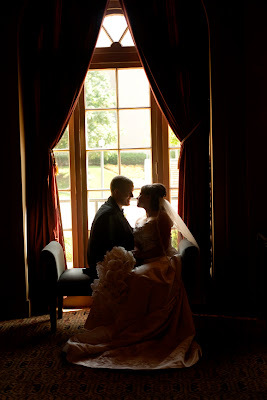 We have been dying to share some of the awesome photos of David and Traci’s wedding. If you are keeping up with our blogs-which we’re certain you are-you know that our very own David wed his beautiful bride, Traci, in early July. 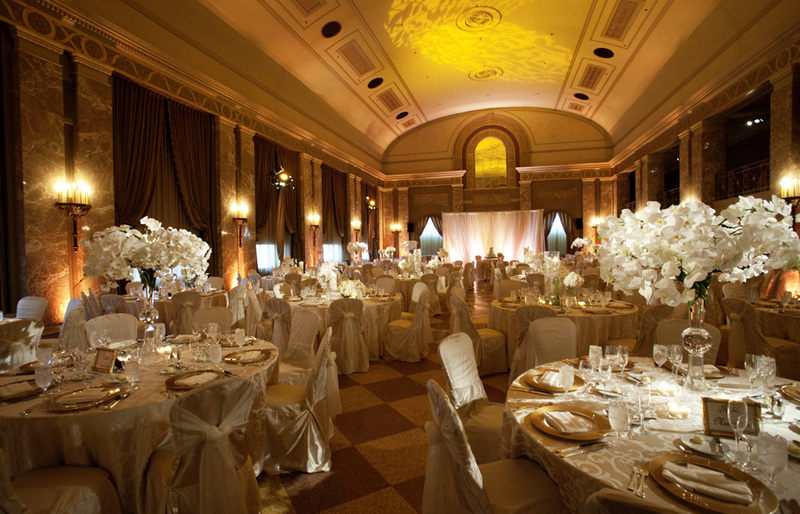 Sisters Flowers was so thrilled to design and create the flowers for such an awesome day. Here are some of the many unbelievable photos taken by Burns Photography. All the Sisters got to design first for the rehearsal dinner being held at Point of View. We wanted to create a more organic feel as a little nod to David. Here is what we came up with. Green and orange were our two playful colors. The guest tables had a wooden box filled with textured plants and grasses. 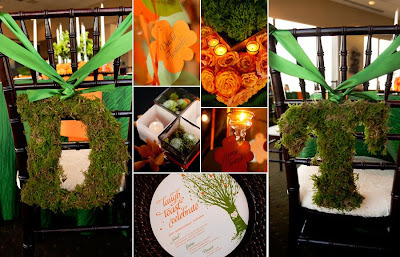 The box was surrounded by a wreath of packed orange roses and tucked in candles. 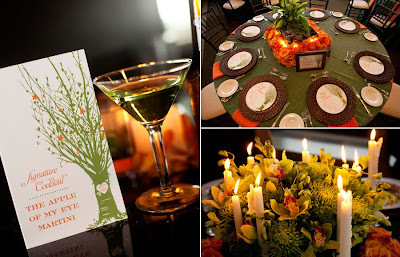 The head table had the a round, green arrangement with tall taper candles surrounded by an orange rose wreath. We enjoyed coming up with special touches like a moss “D” and “T” for the bride and groom’s chairs. 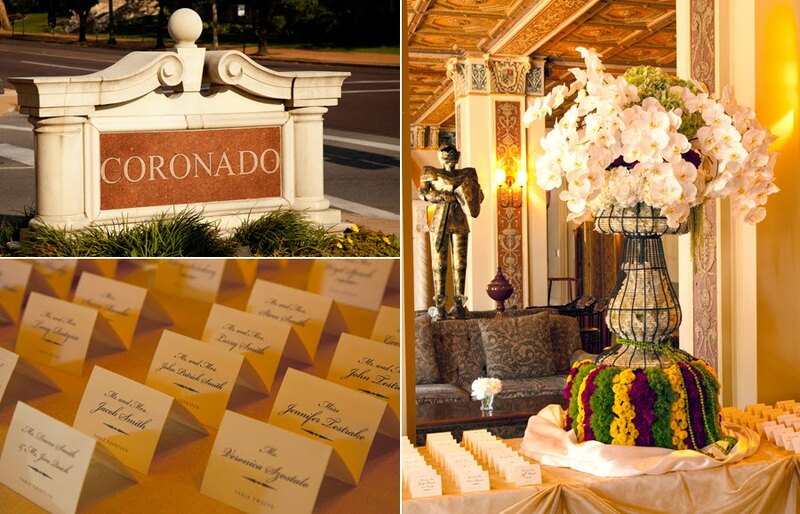 The Coronado was the setting for the wedding and reception. It is such an inspiring space when coming up with a design. 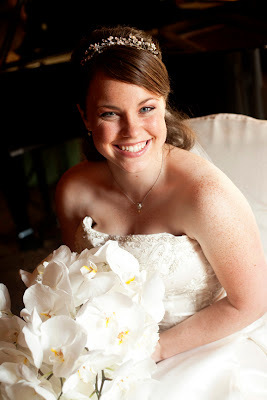 The placecard table had a large wire urn filled with hydrangea and was topped off with white phalaenopsis orchids. It sat on a base of bright flowers packed into colorful rows. Traci’s bouquet was a cascade of all phalaenopsis orchids, lush and draping. 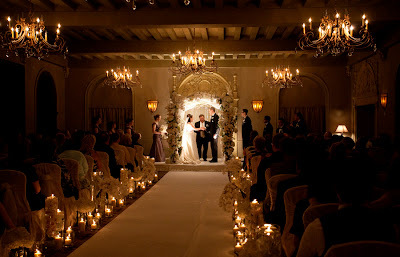 The ceremony looked like a romantic fairytale. 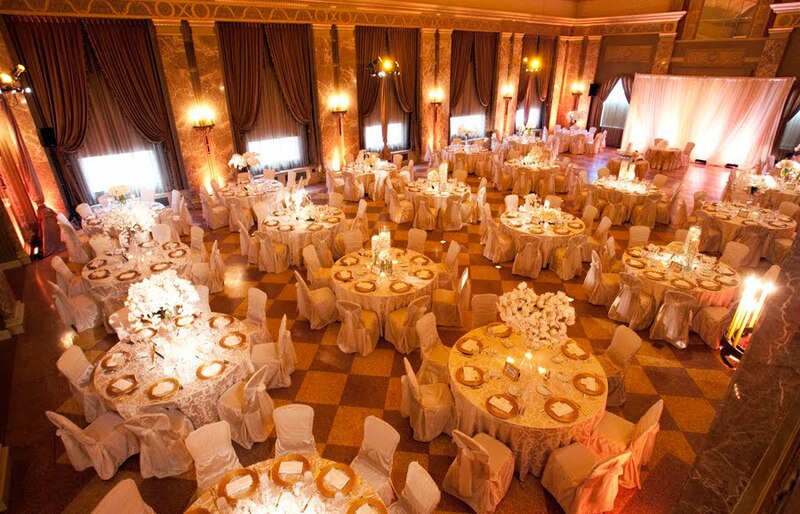 The aisle was lined with candles and flowers. 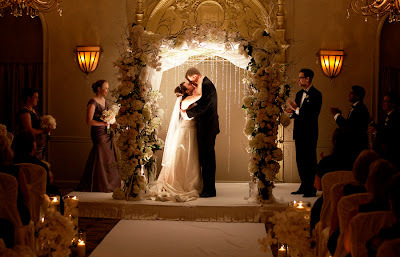 the canopy covering the vows was full of every type of white flower imaginable. Long crystals draped from the back of the canopy reflected all of the soft light in the room. The reception was simply awesome. 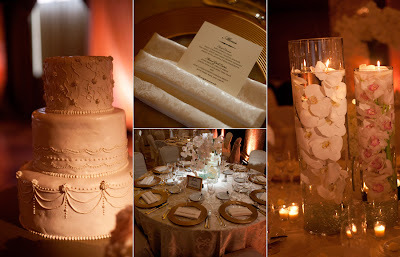 Every table was filled with vases of white flowers- orchids, peonies, hydrangea, roses……it was amazing. 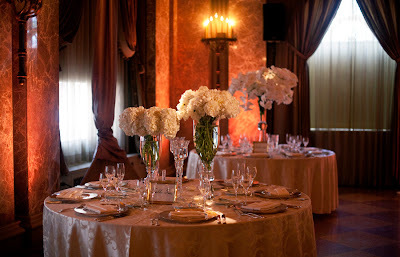 The aisle flowers were used again on guest tables as centerpieces. Submerged flowers were alternated with candles and lush arrangements to give the aisle vases a whole new look for the second act. 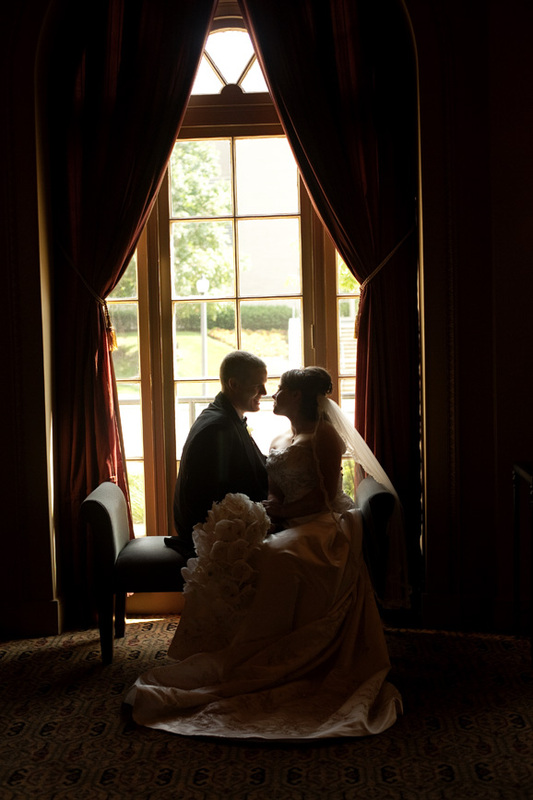 It was such a delight to be a part of your day, Mr. and Mrs. Testrake! All the best to you!